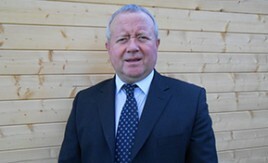 Graeme Cooper is Today’s Retail Business Development Manager for the south. When it comes to getting to know retailers, he is in a privileged position. He travels all over the south of England talking to store owners about Symbol Group membership and helping existing members increase turnover. We joined Graeme on the road to ask him how he supports the Today’s stores on his patch.